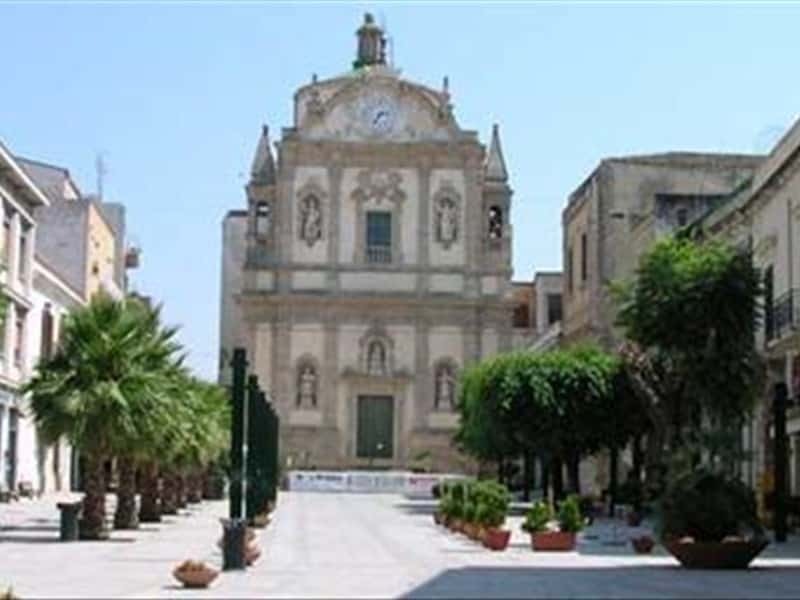 Alcamo is set on the Gulf of astellammare, in the province of Trapani. It was founded in the XII century along the trade way that from Palermo lead to the coast, during the Arab nomination of Sicily. Infact the place name derives from the Arab language: "Manzil Alquamah". The development of the town, between the XV and the XVII centuries, is due to the settlement of numerous religious groups which drive the expansion beyond the town-walls. Alcamo belonged to the Earls of Modica till the beginning of the XIX century. The castle of the counts of Modica was realised by two brothers, Enrico I and Federico III Chiaromonte, in 1350: it has a rhomboidal plan, with four towers and strong walls. Among the religious buildings, we have to mention the Church of Madonna Assunta, with frescoes by Borremans and Bagolini, paintings picturing San Carlo Borromeo, San Filippo and the Fourteen Saints; the Badia Nuova, also called San Francesco di Paola, with paintings by Novelli and allegorical representation by Serpotta, the Church of San Oliva (XVIII century), with masterpieces by Gagini, and the Church of the Saints Paolo and Bartolomeo, in typical Baroque style. This town web page has been visited 25,618 times.